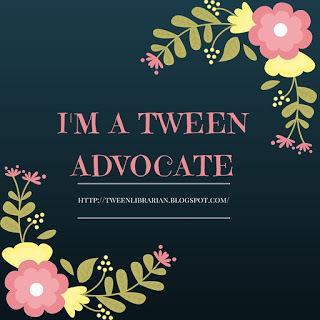 Tween Tuesday is a weekly meme hosted here at GreenBeanTeenQueen to highlight great reads for tweens. Join the fun and add your link below. Today's Tween Tuesday is a special co-review between myself and Mr. GreenBeanSexyMan! About the Book: Need to know about football? Are you debating what the top ten superbowl games are? Or who has the most memorable hairstyles in football? Who are football's best quarterbacks or fastest players? 1st and 10 has loads of top ten lists with facts, stats and more to answer all your football questions. GreenBeanTeenQueen Says: Of course I couldn't review a football book without consulting Mr. GreenBeanSexyMan, the household expert on football. I've learned a lot about football in our six years together, but I still needed his expert opinion to see if this book really held up. Mr. GreenBeanSexyMan Says: 1st and 10 is a solid introduction to football history for kids, although the lists do have some flaws. For example, the list frequently suffer from recency bias. Most of the lists hold more weight to recent or current players and events than events from the past. Mr. GreenBeanSexyMan Says: Well, I don't know if he's done enough to warrant a spot in the book. GreenBeanTeenQueen Says: I was a bit annoyed with the movie list. By limiting it to "Pro-Football Films" they eliminated my favorite, Remember the Titans. Plus, some of the selected films aren't really for kids and teens. Mr. GreenBeanSexyMan Says: In general, I would be happy to pass this on to any young football fan. There's a lot of history and really interesting things to learn like how to do the Ickey Shuffle and who the top fantasy football players of alltime are. The text isn't too simplistic, but younger readers who are interested in football shouldn't have trouble following. Every current team is represented. GreenBeanTeenQueen Says: I liked that there were lots of mentions of the Chicago Bears and my favorite player Devin Hester is included in the "Fastest Players" list. Mr. GreenBeanSexyMan: Yeah, but where were the Chicago Bears fans on the "Top Fans" list? I think they just threw that list in for controversy! Haha this is quite a fabulous post. Love football. Love this.